The Holy Spirit is the secret ingredient in every believer's life, says Francis Chan. The reality for believers, Chan says, is that God lives inside our bodies, and that should transform the way we live. Chan explains the difference between the baptism of the Holy Spirit and being filled with the Spirit. Francis: I think a lot of the problem in the church today is—we depend on these super- stars—speakers, authors, musicians—that are so gifted. People don’t realize, “No, God wants to use all of us.” He wants to supernaturally fill us so that people are blown away by the stay-at-home mom who has so much patience. God says that is who He has chosen to shame the world. Our light should shine so that men would see our good works and give glory to our Father in heaven. Bob: This is FamilyLife Today for Wednesday, February 26th. Our host is the President of FamilyLife®, Dennis Rainey, and I’m Bob Lepine. Are people seeing, in you, the fruit of the Holy Spirit? We are going to talk about that and more today. Stay tuned. Dennis: Or get too excited about. Bob: I mean, I came to faith in a time where I saw what I would still describe as a lot of spiritual, off-beat excess—that was an unbiblical approach to life—that was attributed to the Holy Spirit. So, with that, I kind of went in another direction and thought, “Well, we are going to keep it tame, and a box, and a little more domesticated here.” I am not sure that was the right response to what I was watching. I may have left before it was fully over; okay? But it took a while before my foot started tapping. Then, about another hour later, I started clapping a little bit. Dennis: —to the music; you know? Bob: I was just checking. Dennis: Before long, I was going: “Man! Our church back home is really good. I mean, it teaches the Bible. It has great worship—it really does—but we are the frozen chosen!” You know, we’re back there—and we are all staid and stuffed a little bit. We’re just afraid of what it looks like to be happy, as Christians. Dennis: Well, it may be; but let me introduce our guest. 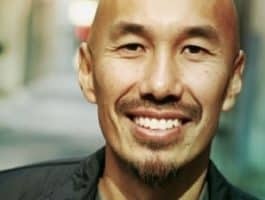 Francis Chan joins us on FamilyLife Today. Francis—welcome. Francis: Thanks. Good to be back. 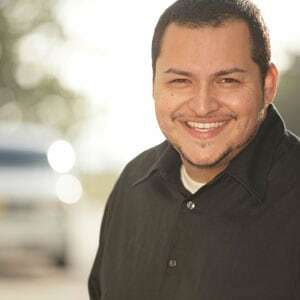 Dennis: Francis is a daddy of four, a husband of one, and serves as the chancellor and founder of Eternity Bible College. Dennis: Is he a surfer? Bob: You like to surf; don’t you? Francis: I am not a good surfer. Bob: But you like to surf; don’t you? Francis: I love it. Oh, I love it. Bob: How often in the year would you be out on your board? Francis: Probably 15 to 20 times. Not too often. Bob: But you would like to be out there—double that; wouldn’t you? Dennis: People are afraid of the Holy Spirit, though; aren’t they, Francis? Francis: They are. You know why? A lot of times, when we talk about the Holy Spirit, we’ll immediately jump to these controversial issues. We’ll immediately jump to, maybe, a little side-note-type issue and forget the main point that God Himself lives inside my body. That is huge! That should change everything—that one person is dead and another person is alive—one person does not have God inside of him and another person does. Dennis: I want you to share an illustration and a story you share from your book, Forgotten God, because you compare it to a basketball player. Dennis: You remember the story you tell? Francis: Yes. It would be like—if I told you—if you and I played one-on-one basketball, you and I—we’d probably be pretty competitive. I don’t know if you play basketball. Did you? Dennis: I did. I did. Bob: He went to college—a basketball scholarship. Dennis: I’d probably take you. Francis: Okay. So, maybe, after this, we’ll see if you are a liar or not. [Laughter] Okay? Dennis: It is Michael Jordan on steroids. My problem is: “How do you think the world looks at us, as believers, when we say the Holy Spirit of God has come into us to change us—to give us this supernatural character, the supernatural joy, the supernatural peace—and then, they look at our lives and go: “Wait a second. You are the same as you were last year—five years ago. I don’t see any difference.” They’ll start to question. I mean, we would—it is just natural. Bob: —seeing excesses, or things attributed to the Holy Spirit, where I go, “I just think that is out of bounds.” But that does cause us—don’t you think—to kind of shut the whole deal down? Dennis: To that point, let’s just real quickly share with our listeners who the Holy Spirit is because you do this in your book. You say He is a person with emotions. Dennis: He is God. He is omniscient, omnipresent. He is omnipotent. So, you are saying He is equal to God—that is who the Holy Spirit is. Francis: Absolutely, absolutely. A lot of times, we don’t treat Him as a person in the Trinity. We just treat Him as this abstract power. A lot of times, I hear Him referred to as It rather than Him. The Bible says: “He decides who to give gifts to. “He Himself can be grieved. He is someone who wants to lead us.” So, when you see Him as a person, you realize you don’t try to harness a person. He is there to lead you. I think that is part of our problem—is we’ve tried to control Him rather than really submit to Him. Bob: We’re afraid that God is going to be disruptive to the life we’re living. The reality is—He probably wants to be a little disruptive to the complacency that we are in. Don’t you think? Francis: Yes, He wants to lead. We don’t want to surrender and let someone else lead us because we don’t trust that He is going to lead us in a greater direction. We are fearful that He is not—that God is not a good Father—leading His children to a life of more fulfillment—of greater abundance. I wrote my daughter back with a second email. I said: “One other thing—I want you to pray and ask God for wisdom. Expect the Holy Spirit to fill you and give you the right words when you step into that situation.” She did end up using some of the things I recommended, at that point. I remember getting on my knees and begging, begging, begging—saying: “God, You have to do something. Make it supernatural.” I said, “Do it like You did in the Bible times where I am just surprised by You.” I remember him coming in. I was saying some things—kind of just letting him “have it.” Nothing! Nothing was phasing him—nothing was phasing him. Dennis: The thing I want our listeners to catch out of your excitement around telling that story is—this isn’t just for the paid professional. Dennis: —to get a degree. Bob: —on the Holy Spirit to get there. Dennis: You don’t have to write a book. This is for Mommies and Daddies. This is for engaged couples that are working through some issues in their relationship before they get married. This is for married couples. They need to experience God—not later—now, today! —and pay some 10 percent tax, and then go off and live your own life. It was meant to be a seven-day experience with the Creator of the universe. Francis: Isn’t that what the world wants to see, too? God wants to use those whom the world would say: “Ah, they have no natural gifting. They have no natural talent. They are not the brightest people in the world.” God says that is whom he has chosen to shame the world. I think a lot of the problem in the church today is—we depend on these superstars—speakers, authors, musicians—that are so gifted. People don’t realize: “No, don’t you understand? God wants to use all of us.” He wants to supernaturally fill us so that people are blown away by the stay-at-home mom who has so much patience and so much peace—even when their child is going through difficult times—that they are blown away and go, “What is that about you?” She can point to her God. Francis: I don’t want that. I want to do things so supernatural that people know, “Okay, Francis did not pull that off;” and they give glory to God, the Father. Bob: Let me ask you about—because I think there are folks who are confused about what the Bible describes as being filled with the Spirit. Give us an understanding of that. There are a couple of times in your book where you talk about people having more of the Holy Spirit. I think that might be misunderstood by some. Explain what you mean. Dennis: I’m glad you clarified that! Francis: When other people get drunk—but the idea of getting drunk is that you don’t stay drunk. You sober up after a while. If you want to stay drunk, that is going to take some effort. Bob: You are going to have to keep drinking! Francis: Oh, yes! A lot of times, we think, with the Holy Spirit, that it is this one-time action, where we are filled and we are filled for good. No, the Bible says you continually be filled with Him—you continually surrender to Him. Say: “Holy Spirit, what do You want me to do now? Holy Spirit, empower me now.” It is an ongoing—ongoing action. Bob: —and, now, their behavior is influenced—controlled by having too much wine. To be filled with the Spirit is to have that same thing. To have the encounter with the Spirit so that your actions—your behavior, your mannerisms—are now controlled by the Spirit; right? Francis: Yes. You can tell when someone is drunk; right? Dennis: That kind of infectious love for Christ—that is what the world is looking for and what it is desperate for today. It doesn’t need a plastic, veneer version of cookie-cutter Christianity. It needs real, authentic people—who are individuals—who are expressing their gifts and their abilities, fully under the power of the Holy Spirit. Francis: Yes. If you look in Scripture—I was just reading Tozer on this. He wrote this book, The Mystery of the Holy Spirit. He says, “Do you see anywhere in Scripture where someone receives the Holy Spirit and doesn’t know it?” [Laughter] Wow! That is a great challenge. Dennis: I may not have known His name, at that point. Bob: You are saying it is possible to have the indwelling Holy Spirit come live in you, in an encounter with Christ, and not understand all of the theology of what is going on. Dennis: Not understand everything that happened to me—exactly. I was thinking about your question: “How does somebody know if he has the Holy Spirit?” I would just say, “Well, do you love Christ?” Somebody would say, “Well, I don’t love Him perfectly.” Well, none of us loves Him perfectly; but, “Do you love Christ?” People who do not have the Holy Spirit don’t love Jesus; do they? Francis: No; absolutely not. In fact, Paul says, “No one can say, ‘Jesus is Lord,’ except by the Holy Spirit.” Now, obviously, he means saying, “Jesus is Lord,” and really meaning it because anyone can say those three words. Dennis: Okay. Here is the question, Francis. Let’s say there is a mom, who has been listening to us. She just dropped her kids off at school. She was yelling at them— impatient with them. Bob: It was not a good morning. Dennis: There is a husband, who is on his way to work. He just had words with his wife. They slept on two different sides of the bed last night; okay? It is just not going well. How would you advise them? Then, I went back into my little two-year-old’s room and said: “Daddy really messed up. I shouldn’t yell like that; but Daddy has prayed—and prayed that he will never do that again.” I just went and got on my knees and said: “God, I know You can change me. I believe it—I see it in Scripture. “I’ve had these issues with anger. God, please change me; change me; change me.” And believe—the Bible says that if you doubt, you are not going to receive anything. I really believed, at that moment, that God would change me. I can tell you—right now, she is 14. I haven’t yelled at her since. Twelve years—it is a supernatural thing that He does. Dennis: I like where you started—confession of sin. Dennis: I think that is the beginning point to being filled with Spirit. It is not some general confession that covers the universe of all sins. Francis: And we have to do it with faith. Dennis: Okay. Here is the assignment before the sun sets, if this is an evening broadcast, where you are listening now. I want you to make sure you don’t finish this day without knowing you are filled with the Spirit. Why live another day of your life outside of the experience of Almighty God in your life, where you can see Him at work in you, and through you—using you with others—but also directing and comforting you in things and issues you are facing? Why would anyone want to go through life like that? When you talk about being filled with the Spirit, I know it gets confusing for folks, sometimes, to think about—the Bible talks about being sealed with the Spirit, being baptized with the Spirit, being filled with the Spirit. Sometimes, those words can get used interchangeably. Some of that is what happens when we are first saved, but being filled with the Spirit is something that is an ongoing part of our life in Christ. it helps clarify some of the—well, what are sometimes confusing aspects of the ministry of the Holy Spirit. 1-800-FL-TODAY, 1-800-358-6329. That is 1-800- “F” as in family “L” as in life and then, the word, “TODAY”. When you get in touch with us, we’ll let you know how you can get Francis’ book sent to you. and who, not only share what’s going on, but who trust us to intercede on your behalf and to pray for you. Thank you for that privilege; and thanks for your financial support, as well. We could not do all that we do, here at FamilyLife Today, without the partnership that we have with folks, like you. And today, if you’re able to help with a donation to support FamilyLife Today, we would appreciate it. Simply go to FamilyLifeToday.com and click on the orange button that says, “I CARE.” When you make an online donation, we would be happy to send you a thank-you gift—a couple of CD’s that feature a conversation we had, recently, with Mark and Grace Driscoll—talking about some of the challenges they faced in their dating years and in the early years of their marriage, as well. to FamilyLife Today at PO Box 7111, Little Rock, Arkansas— Arkansas is AR. And the zip code is 72223. Now, tomorrow, we’re going to talk more about the ministry of the Holy Spirit. We’re going to talk about what happened the day the Jehovah’s Witnesses showed up at Francis Chan’s door. I hope you can tune in tomorrow for that.